Unlimited Golf with Cart after 2:30. 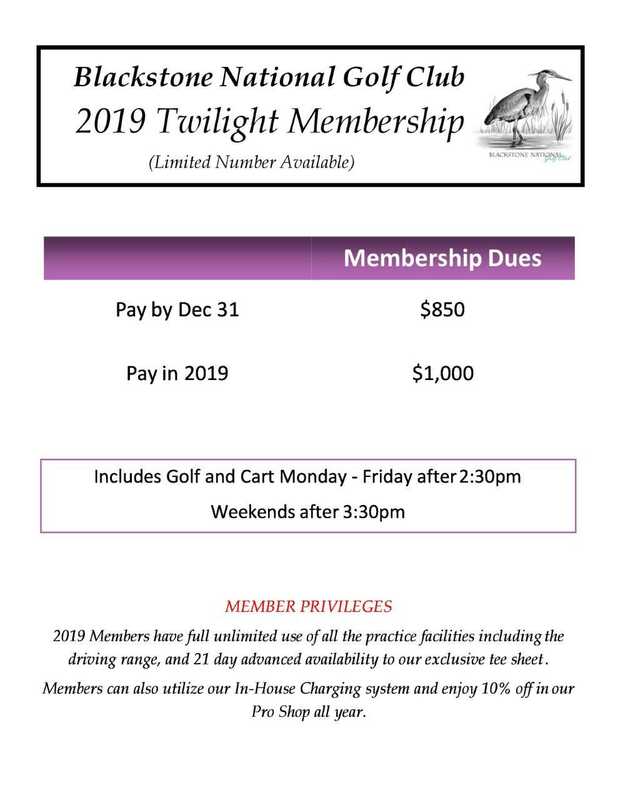 Twighlight membership includes greens fees, cart, ANY DAY AFTER 2:30pm. After waves and based on availability on weekends. Also includes range membership, 21 day advanced tee times, and 10% discount off of all Pro Shop Purchases. Tee times are issued based on availability.